A Warehouse? On Winter Break? 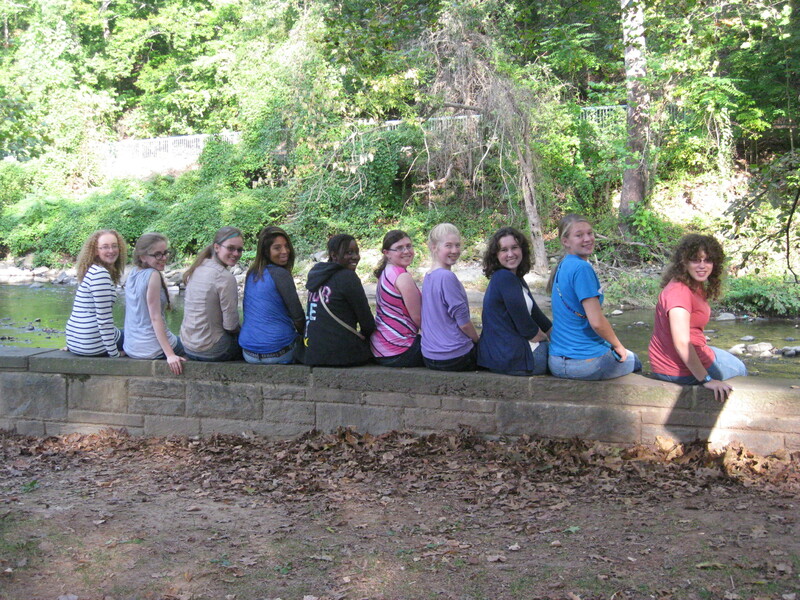 I have the greatest troop of Senior and Ambassador Girl Scouts. They are unfailingly kind, generous, smart, funny, and always willing to be guinea pigs in whatever crazy scheme I come up with. Over the years we’ve rung in the New Year with movie marathons at our local camp, gone to DC Roller Girls matches, walked the length of the National Mall on the hottest day of the year, debated proper attire for vampires, and collected nearly 200 bras for victims of domestic violence. 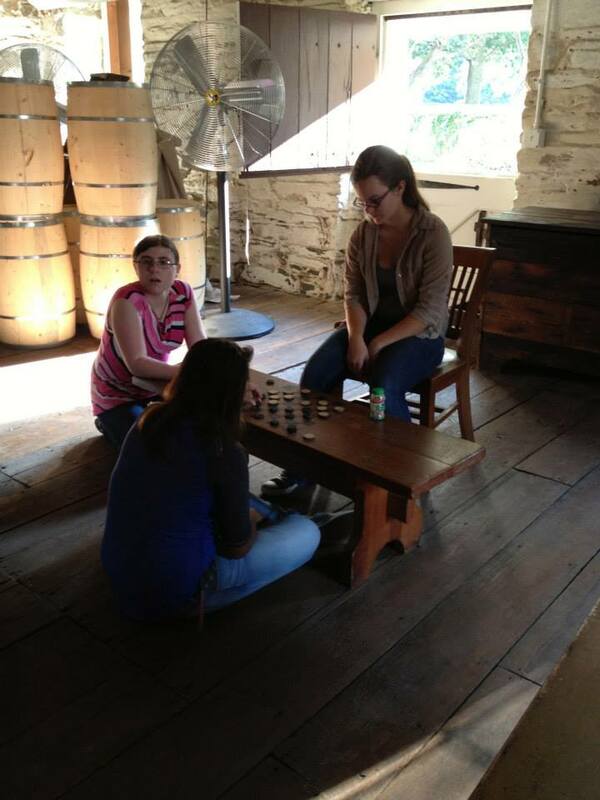 They have gamely tried out possible activities for my patch programs about princesses, Barbies, and the Hunger Games. 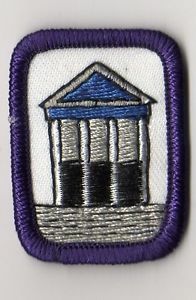 Since I became chair of the Nation’s Capital Archives and History Committee in 2012, they have become Girl Scout historians, too. 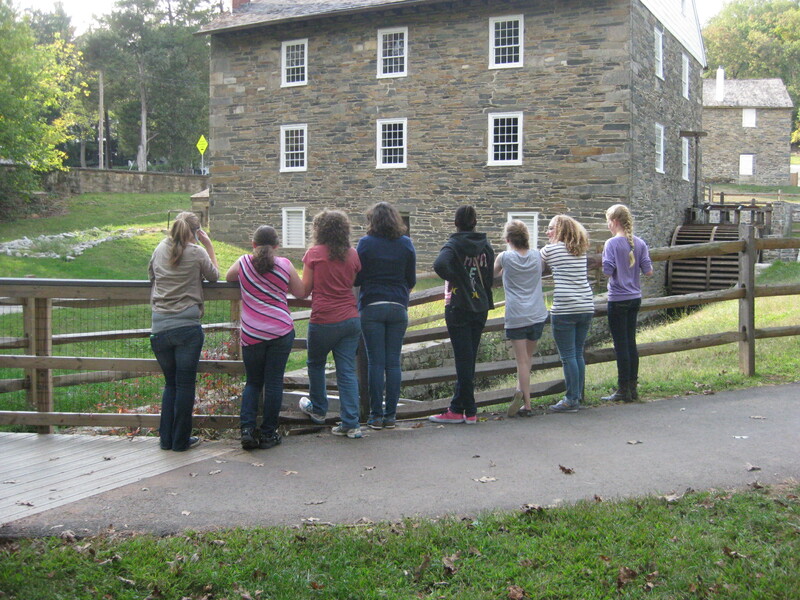 They have visited local sites with Girl Scout history ties, such as Peirce Mill and Rockwood Manor. They spent one meeting arranging a suitcase full of old teen uniforms in chronological order and critiquing the style and fabric. Last year, over winter break, a group dismantled, relocated, and reassembled the Committee’s storage area when the council headquarters received new carpet. 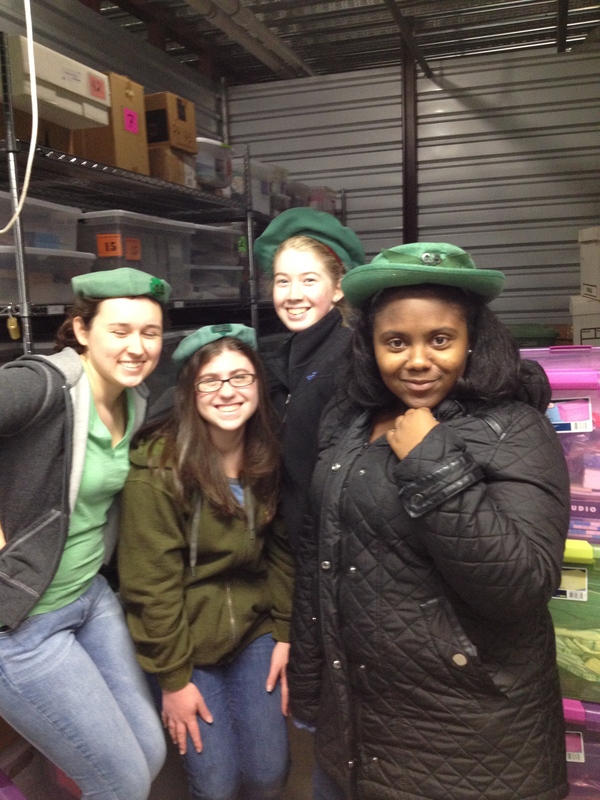 Yesterday, I took a carload of girls to the warehouse in Northeast Washington, DC, where the majority of our collection is housed. Our two storage units are packed to the brim, so I limited the trip to four girls. Would you believe I had a waiting list? 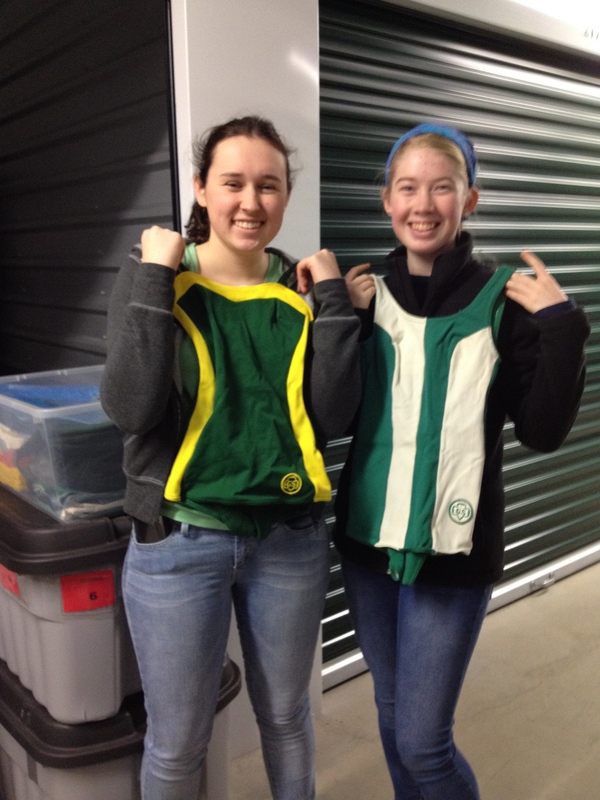 Let’s review: I had teenage girls on winter break clamoring to go to a warehouse. A warehouse! I didn’t know we had old GS bathing suits! We spent about two hours at the warehouse, carrying out several missions. I had old Leader magazines to return and needed to borrow some Rockwood materials for research. We also had a request requiring some old camp uniforms and a roundup hat, so we located those and talked about what roundups were. Our main goal was to locate items for an upcoming display about cookie patches and prizes over the years. The girls are working on the old Museum Discovery Interest Project, and the display will satisfy some of those requirements. But there’s more to the cookie display project than just earning a badge. 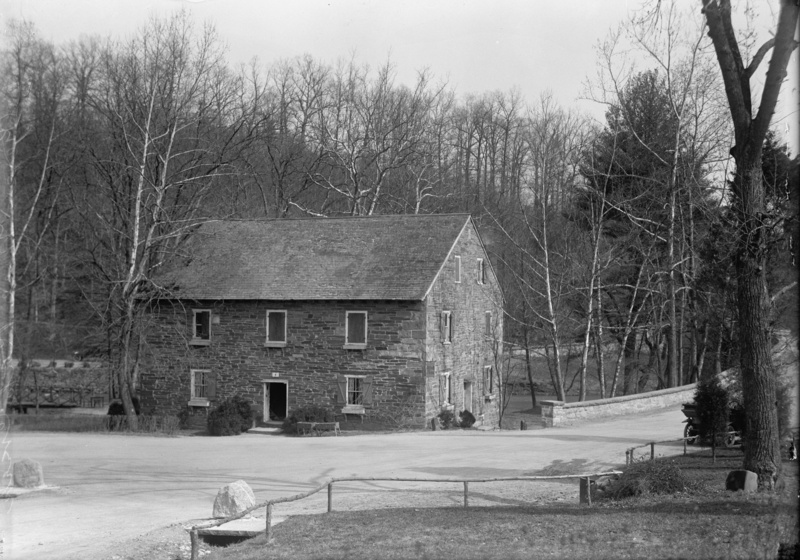 Next year Nation’s Capital will open a dedicated history program center at a former field office in Frederick, Maryland. I am beyond excited by the prospect of permanent displays and being able to better share our collection with our members and the community. We’re still working out what types of programs will be offered in Frederick, but I hope there will be a mix of “for girls” and “by girls” on the menu. I visited the First Headquarters in Savannah last summer and was so impressed that teens from the Historic Georgia Council work at the museum and lead most of the programs. I would love to implement a similar model for Nation’s Capital, perhaps even creating a History Program Aide specialty. Working with my own troop has confirmed that, with proper instruction, girls can handle artifacts appropriately and responsibly. I try to reinforce with my girls that there is a huge, wonderful world of Girl Scouting out there beyond our troop. They enjoy seeing how they fit into our timeline, discovering what has changed and what has stayed the same. Above all, they prove that Girl Scouts want to learn more about Girl Scout history. I can’t wait to give them and other troops that opportunity.